Your electrical panel is the primary component of your home’s electrical system. It’s designed to control power distribution among all the electrical devices in your home. In addition, it’s designed to protect your appliances from electrical overload. Whenever overload occurs, the breakers and fuses in the panel shut off power to these devices. A power shutdown protects them from overheating and from more severe problems like fires. If your electric panel needs to be replaced due to age or other factors, you’ll need to contact an electrical panel replacement company that can handle the job. As we fill our home with more electronics and other devices, it is generally a good idea to consider whether your home needs an upgrade, especially if you live in an older house and have never completed an update before. In addition to adding electrical load, there are other reasons why you should consider replacing your electrical panel. Electrical panel models are available in different amps, ranging from 100 to 400 amps. Higher amp panels are more expensive than lower amp panels, but you don’t need to choose a more expensive unit if your home doesn’t need it. Selecting the right panel is where the expertise of one of our experienced electricians is useful. We start by taking an assessment of all the electronic devices in your home and determining the energy output for each one. By completing a thorough audit of your home’s energy needs, we can help you choose the panel that’s right for you. Our guidance guarantees that we outfit your home with the right type of panel and that you’re not overspending on a higher amp unit. Markey Electric and Solar is your electrical panel replacement company. Our electricians handle your project from start to finish. We provide work that meets that highest standards and guarantees your satisfaction, no exceptions! Our electricians are thorough, courteous, professional, and get the job done quickly. 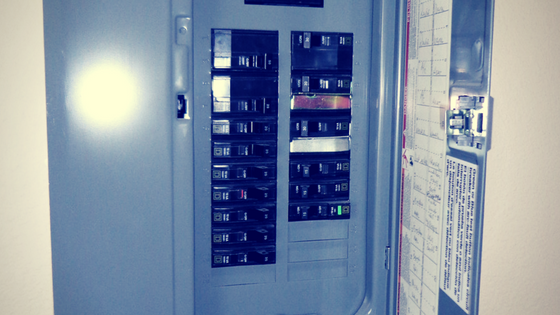 Contact us to learn more about electrical panel replacement services.